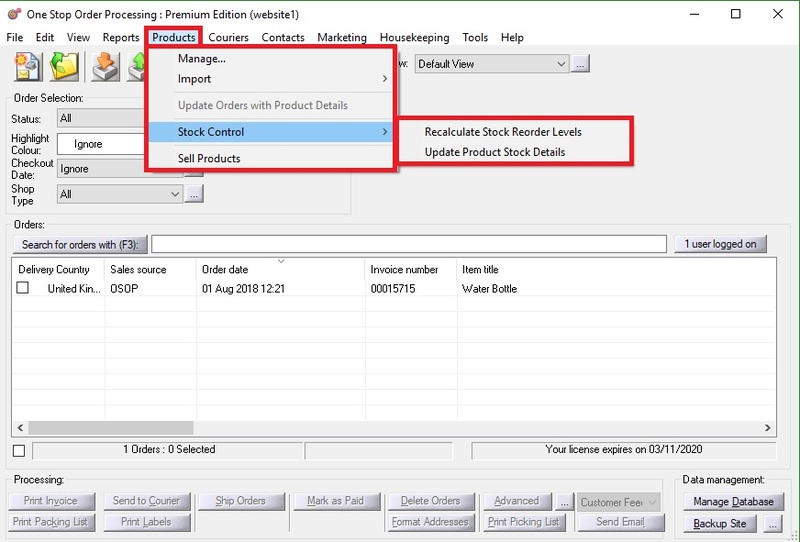 How to use One Stop Order Processings Automatically calculate Reorder Level Feature. The following guide explains how to use One Stop Order Processing Automatically calculate reorder level feature. 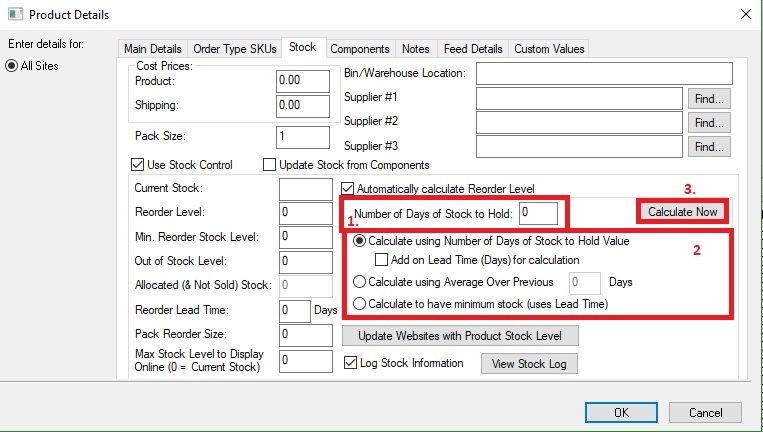 The automatically calculate reorder level feature allows you to automatically have your stock reorder levels calculated based on previous sales and product information. This is based on the previous days sales and is the number of days stock that you will need to put on hold. 2. There are 3 options you can use regarding what information you would like you reorder level to be automatically predicted from. Select the option most appropriate for your business by following the table below. Calculate using number of days of stock to Hold Value. This is based on the method of basing the next n amount of days on the previous n days. This uses up to the last n days worth of information to work out the next n days requirements. This uses the lead time for the product to make sure that you don’t hold unnecessary stock. For Example, using the last 7 days of orders to predict the next 7 days of orders. Calculate Now -By clicking this button, it will perform the calculation. Products-> Stock Control-> Recalculate Stock Reorder Levels.